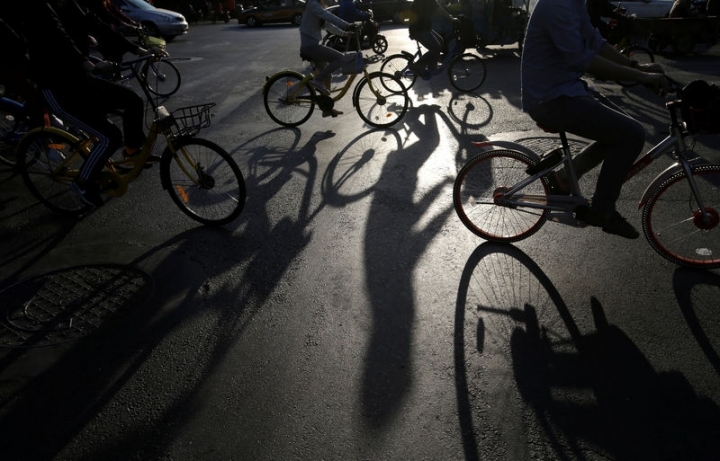 BEIJING (Reuters) - China's renewed love affair with the bicycle is proving a boon for mobile bike-sharing apps but is causing headaches by congesting city sidewalks. 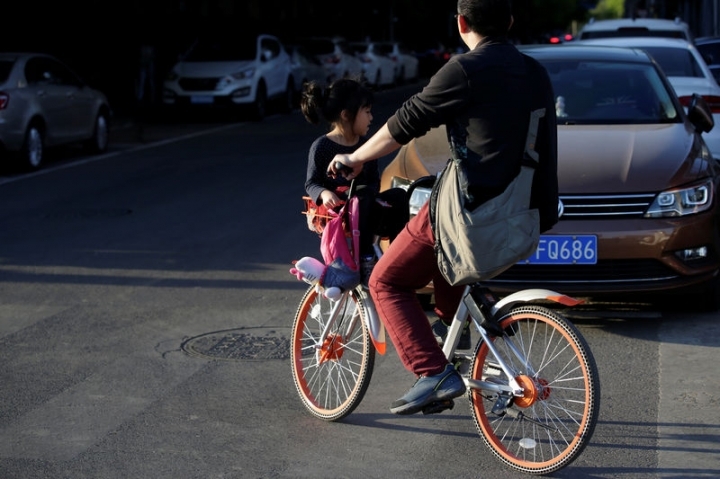 Business for Mobike, ofo and other apps has taken off in the past year as they attract young, mobile-savvy urbanites looking to bypass snarling city automobile traffic. With just a scan of a bicycle's QR code with a smartphone, riders can pedal away for as little as 1 yuan ($0.14). Bikes can be picked up and dropped off anywhere. But their popularity means that subway entrances and sidewalks are increasingly clogged with bicycles in a sea of the blue, orange, yellow and other colours that indicate the different bike-sharing brands. 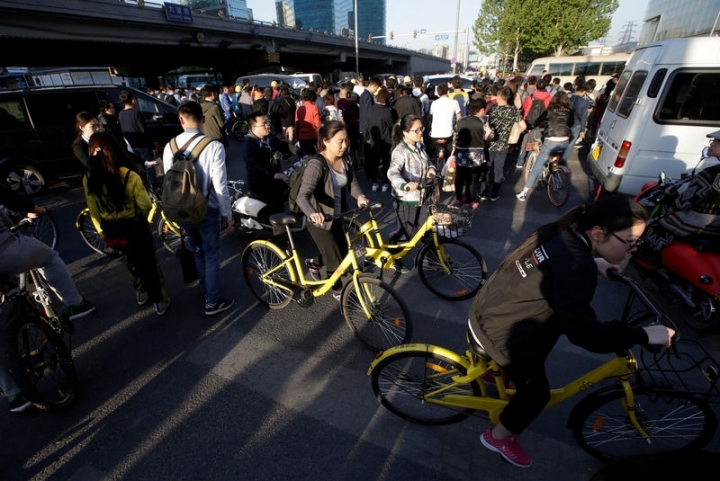 "After they're done riding, they just toss the bikes on the road," said Zhang Jincheng, a Beijing ofo employee who collects scattered bikes - a service bike-share firms are offering in response to complaints from urban residents. "This will affect pedestrians and cars on the road. That's really dangerous," he said. The competition among the apps has become a "bike war," said Hu Weiwei, co-founder and president of Mobike, which was established in 2015 with funding from tech giant Tencent <0700.HK> and others. 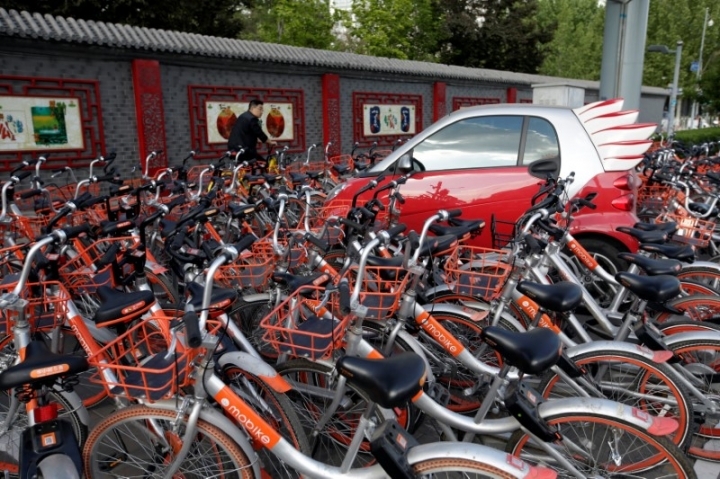 Mobike, whose bicycles are a mix of orange and silver, says it is close to reaching its goal of operating in 100 cities around the world this year. 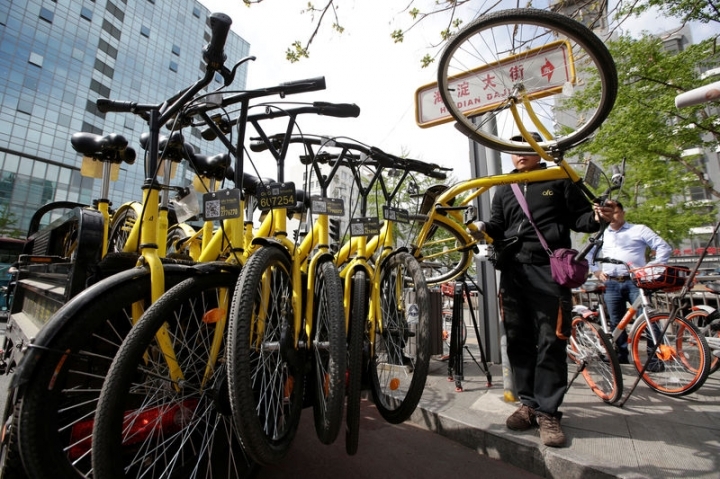 Ofo, known for its trademark yellow bikes, has expanded to 100 cities worldwide since its founding in 2014, 70 of which were added this year alone. 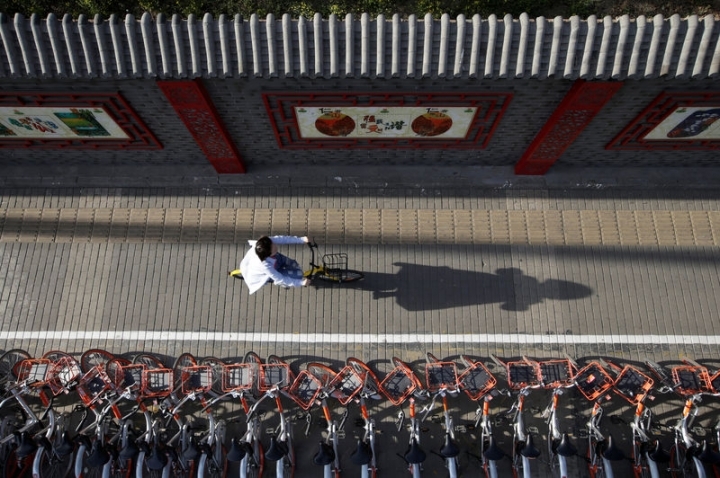 Bike-share users in China numbered around 20 million in 2016 and are expected to reach 198 million by 2021, according to a report by research firm Research and Markets. There are some 30 operators deploying bike-sharing services since mid-2016. 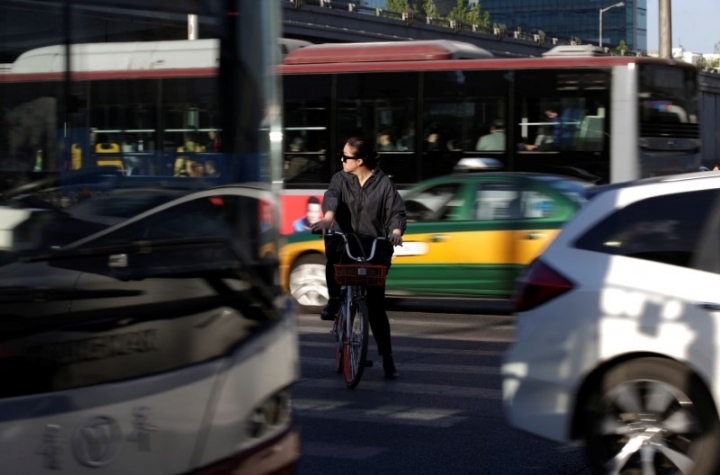 To cope with the rapid expansion, Beijing and Shanghai have recently issued draft guidelines for tighter regulations on bicycles, including standards for parking. Some local businesses are feeling an impact. "Our shop entrance gets very messy. It can affect some of the customers," said Yin Yi, owner of a music store in Beijing. "We even take pictures (of the mess)". 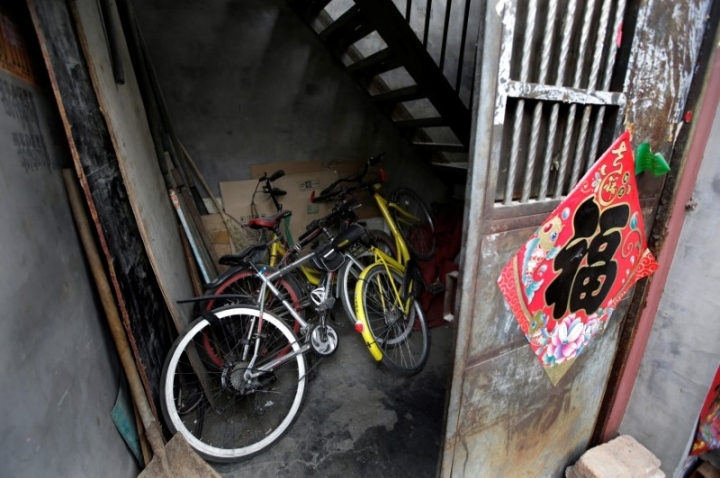 Zhang Lijun, who owns a bicycle chain store on the outskirts of Beijing, said sales this year were down by a third as of March. 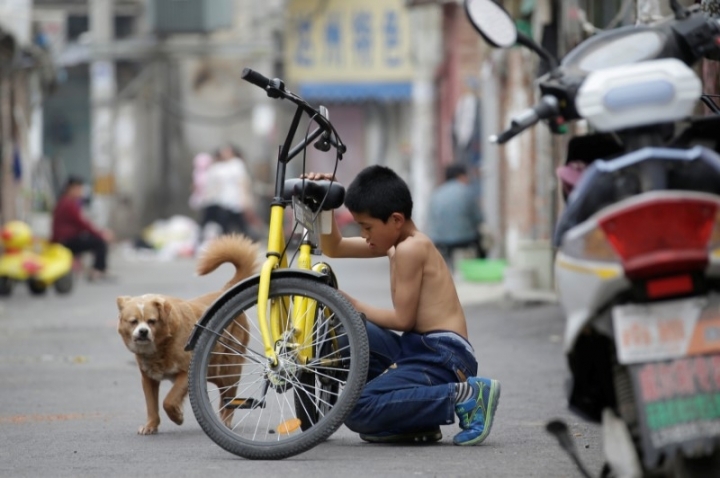 But the boom is a plus for those aiming to reshape the urban landscape in China. 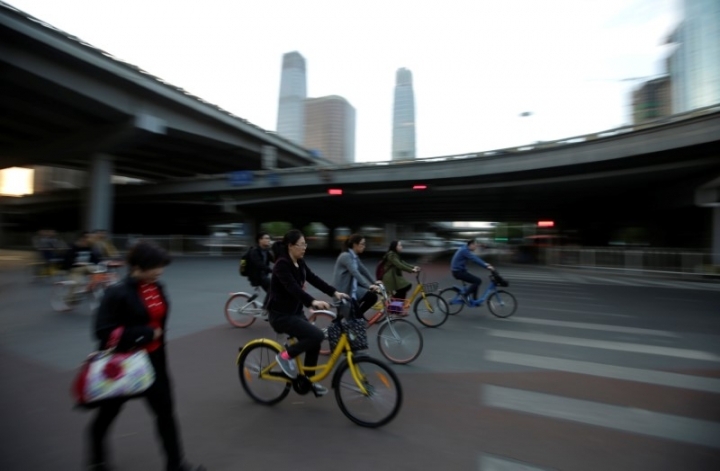 "We hope that for the future of the city's development process, planning will no longer be centred around small cars, but we want it to be more like Copenhagen or Amsterdam," said Zhang Siding, co-founder of ofo.